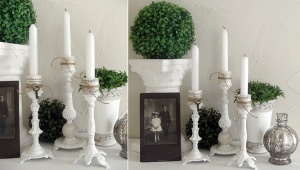 Shabby Chic Inspired Blog has shown us a great way to display our candles. 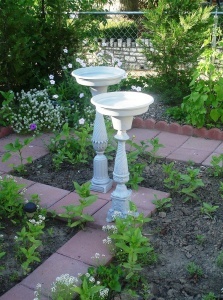 Simply plan a visit to your local flea market, grab some old lamp bases, give them a nice coat of paint and your candlesticks are ready. Sassy Trash Blog has shared a wonderful picture and card holder idea. 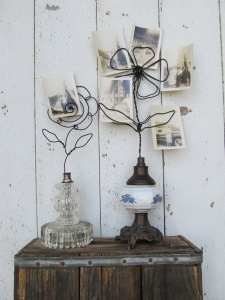 If you happen to have an old lamp base, connect flowers made of thick metal wires to it and some really unique picture or card holder will be ready to be displayed in any part of your home where needed. 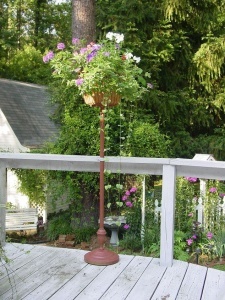 Pat aka Queen of Thrift via Home Talk has shared a project made from an old base of a floor lamp. She has simply topped an old floor lamp post with a basket of planter and the result is truly fabulous. 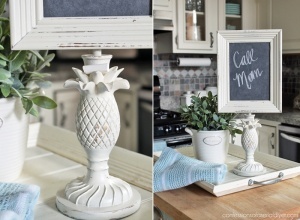 Christy K. James at Confessions of a Serial DIYer combined a pineapple shaped lamp base with a picture frame painted with chalkboard paint and now it serves as a wonderful memo chalkboard in her kitchen. 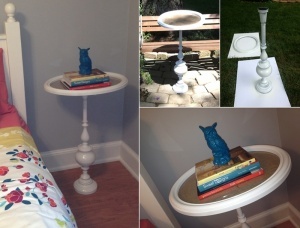 Stephanie Smith at Madeline Lewis Designs has combined a burlap lined old painted picture frame with a painted recycled lamp base and a wonderful table got created that looks just so beautiful in her room. Bethany DeVore at Dwellings by Devore has given a makeover to a fan. 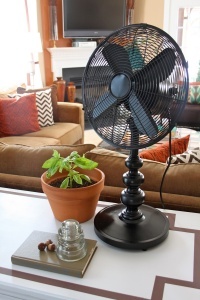 She has combined a fan that had its base missing with a lamp base and now it serves as a perfect table fan.